[Giveaway] BIRTHDAY! / IISJONG | Singapore-Australia Lifestyle & Travel Blog IISJONG | Singapore-Australia Lifestyle & Travel Blog: [Giveaway] BIRTHDAY! Happy National Day to all Singaporeans, woohoo! Today, our little island celebrates 48 years of independence. Because my birthday is so coincidentally on the 5th of September, which is around a month away, I am having A BIRTHDAY GIVEAWAY! Starting from today, 9 August, the giveaway will end on 5 September (GMT +8) 2359pm. I remember some of you requesting caps for giveaway, so here you go! It's kind of a trend to wear snapbacks and beanies right now. 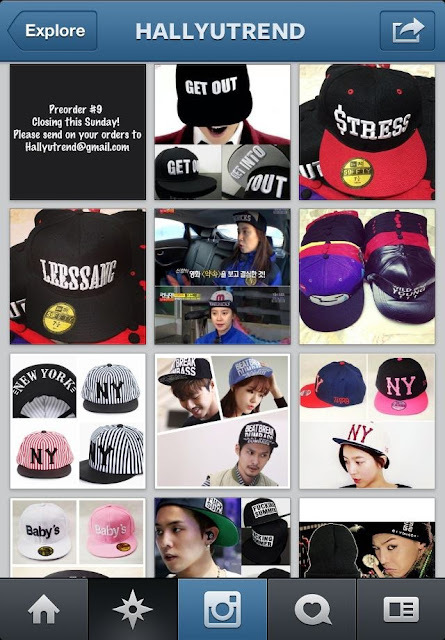 I myself am a fan of Korean variety show Running Man and I want ALL of their hats! Well, 1 winner will get to choose any hat of their choice! A big thank you to the amazing people at Hallyutrend for sponsoring! Y'all should check them out, especially the international readers. Huge variety to choose from, they ship internationally and prices are affordable! Maybelline makeup set! It consists of gel liner, mascara, lipstick and eyeshadow! Moleskine cahier (love the paper quality! ), moleskine luggage tag and colourful bracelet from European brand Wood Fellas! You have to admit that having good looking hair is important as it makes us look good, thus boosting up one's confidence. -Comment your name, country, social media account handles and the set that you wish to win! I would to have the L'oreal set because I'm worth it! Thank you for the giveaway! And happy national day! I'm Yanni and I'm from Singapore. I only have Facebook account and Twitter account. I sincerely hope that I can win the set 4, L'oreal and Black Box as I have very problematic hair and I would like to seek a solution for it. I'm Yanni and I live in Singapore. I have Facebook account and a gmail account. I would sincerely hope that I can win L'oreal and Black Box, as I'm looking out for a solution to my problematic hair. Hi, I would love to have set 2 please. LOVE set 4. :) Thanks. I wish to win SET 4. I would like to win set #4. Thanks! I love the set 2. Thank you and have a fab sunday! \(^_^)/ Happy B'day to you...upss i know is to fast to say it, but i hope you will have the best b'day ever! Dima Krupnikov on FB, Youtube etc..
Hello! Great giveaway! I would like to win set 4! I am from greece and I want to win 2nd prize please! thank you for the giveaway darling!! name nikh rokana, country-athens-greece,i would like to win set 2. Bianca Rogoveanu, from Romania ! I want to win the set 2! i would like to win no4!!! I loved the fourth set!! I would love to win Set 4. Early Happy Birthday to you! Enjoy your big day on 5 September! May all your dreams come true! I would like to travel the world with my sister, it's my dream. I would like to win Set 4,please. Loreal would be nice to win, my hair needs some tender loving care! set 2 cause I love Maybelline! name, country, social media account handles and the set that you wish to win! Set that you wish to win - Like the majority here, Set 2 , bcuz i like makeup and maybelline is an awesome brand. Please see above entry - I forgot to say my name! SET 2.ITS AMAZING AND I LOVE IT :) .